CERV stands for Chevrolet Engineering Research Vehicle. These vehicles are experimental cars used to test new technologies. The “CERV” designation dates back to the early days of the Corvette. 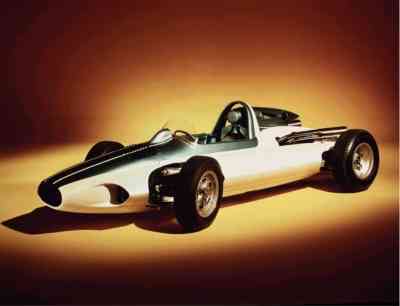 Zora Arkus-Duntov designed a single-seat, open-wheel racer dubbed CERV I. He also designed CERV II – the world’s first mid-engine car with full-time four-wheel drive. In appearance, they looked nothing like the Corvette. They were used to demonstrate the performance and engineering capabilities of GM to the public.